Religion and the American Revolution? What role did religion play in the era of the American Revolution? Was the United States founded as a Christian nation? Was the United States founded for religious freedom? These are not a simple questions, not by any measure. They break down into many separate puzzles, and they require very different kinds of evidence to solve. Whose religion mattered? The founding fathers? (and who, precisely, were they?) Those who made of the ranks of the soldiers? What about the large numbers of people in the colonies who were not part of protestant churches? The enslaved? Native Americans? 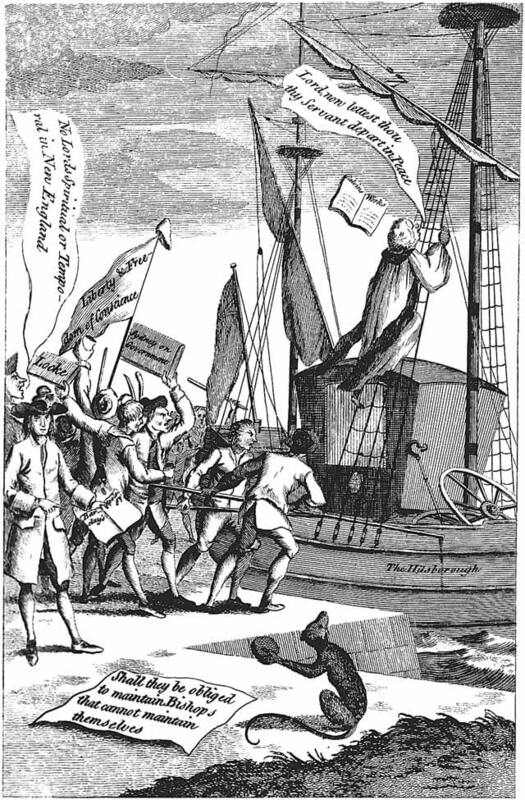 Should we be looking for “religion and the revolution” in the break from Britain notably another Protestant country, in 1776? Or should it be looked for in the creation of a lasting, new federal government, in 1787? Where did ideas of religious liberty come from? Who embraced them, and why? Most of us do not want to reduce the subject to a simple question. History, we accept, is complicated. Fortunately, its investigation is ideally suited for the classroom and the internet, where piling on more answers and more questions is possible. This website brings those two platforms together by presenting the diverse ways students have researched sources that can tell us something about religion and the nation’s founding. In 2016, students used new digital tools and archives to explore religion as it appeared in the newspapers. The project is described in more detail here. In 2014, students examined the nation’s founding documents from the perspective of religion. The efforts of these students participate in a long conversation about the nation’s founding and the subject of religion. Great conversations that explore the connections between these subjects and current events can be found at the US Religious History blog, at the Junto, and at The Way of Improvement Leads Home. While the goal of this project is and continues to be opening up new ways to investigate the subject, distinguished historians have provided clear answers to common questions here, here, and here. With questions or comments, please contact Kate Carté Engel, Associate Professor of History at SMU. More information about SMU’s History Department can be found here.